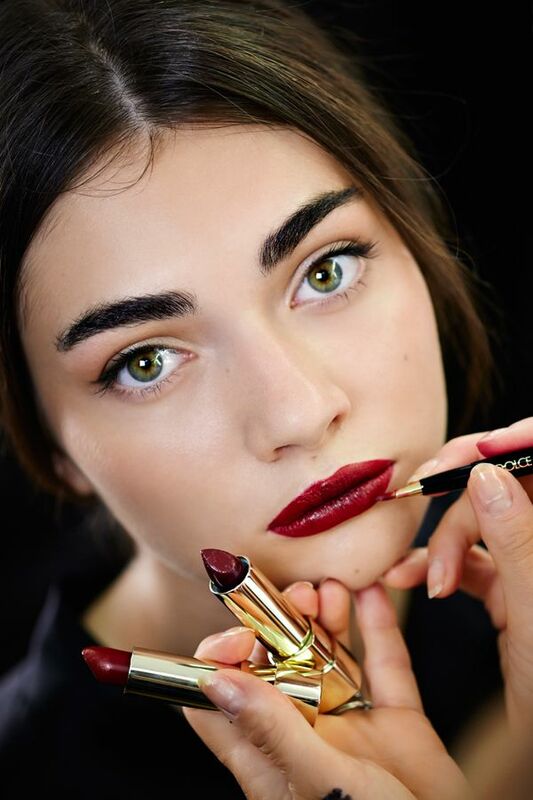 Zuri brings to you 5 easy and best makeup trends for you to follow this spring’2015. Check them out and get started right away! The New Year brings good news to all of us fashion lovers. New trends to follow, new looks to try out and go gaga over. It’s official, this year’s Spring Trends are out. Instead of fashion you can’t follow in day to day life, we have picked out 5 of these trends which you can wear easily, every day. Whether you try it at work or for a casual night out, these easy-to-follow trends will definitely brighten up your spring. 1. Invisible liner: This is a simple enough trend to follow. Instead of bold, thick lines of your usual black liner, go for lines that are almost invisible applied, on the outer corner of your eyes. If this is not enough definition for your eyes, use your pencil liner to tight line your eyes. That is, go over the skin between your lashes to hide any gaps and make your eyes appear starkly defined. 2. Berry stained lips: A trend like this can only make Indian women happy. The berry stain when set against our brown skin, creates an effect worth noticing. Although picking a lipstick of this color is a good option, a stain might create an even better effect. Notice how the lips are not clearly defined, so skip the lip liner. The idea is to create lips that look like you overdosed on juicy berries. 3. Brown eyeshadow: This season, it’s all about heightening all that’s natural. Another item on that list is brown eye shadow. What’s so great about brown eye shadow, you ask? It’s so versatile! A neutral brown is perfectly in place in your work environment. A slightly shimmery one will get you past the bouncers on a night out to the local club. Pick the kind of brown that best suits you. 4. What makeup: This season has resurrected the minimalist makeup trend. There’s makeup involved alright, you just can’t tell that it is. To achieve this look, skip your heavy foundations and cakey compacts and opt for tinted sunscreens or BB/CC creams instead. A few coats of mascara, glossy lip balm and a final brush of your favorite face powder (to control the oil) is all you need. 5. Bronze it up: Contour your cheekbones and jaw line with your favorite bronzer to get that oh-so-fabulous sun kissed look this season. It’s perfect for the slight dash of color which makes your face appear brighter. The best part is, it goes perfectly with the rest of your makeup choices. For instance, the bronzer only adds sparkle to your brown eye shadow look. You just can’t go wrong with this. The world of fashion may dictate certain trends, but in the end it’s up to your comfort zone. We real women walk pavements, not runways so our looks have to be curated to fit into our everyday lives. That’s why it’s important to pick a look that both easy and super fashionable.